Have you seen this big metal tube from 1970? It’s a time capsule. And there’s a $50,000 reward for anybody who can find it. 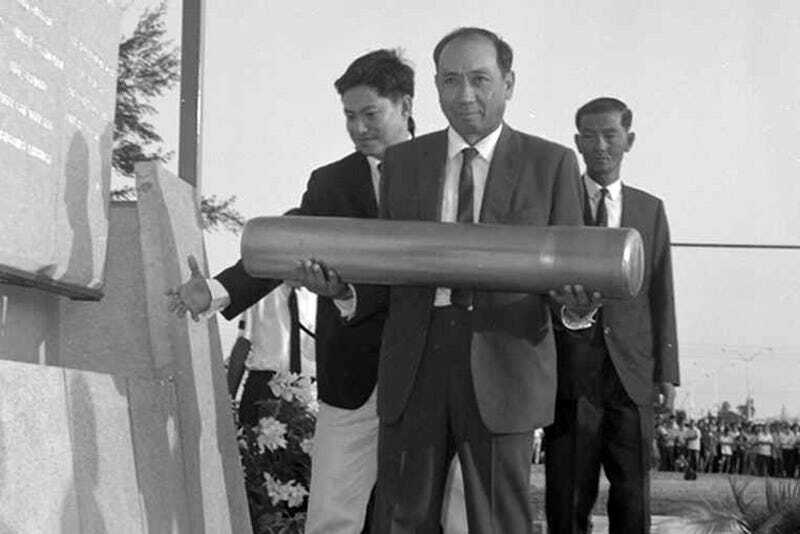 The time capsule tube was interred in a foundation stone at Singapore’s National Stadium on February 23, 1970. But nobody knows where it is today. People have been searching for it since at least 2007, when the stadium was torn down. Construction crews have even employed ground-penetrating radar but come up empty-handed. The tube’s contents are somewhat of a mystery. The only thing we know for sure is that it has some newspaper clippings, blueprints, sports memorabilia, and “local currency.” How much currency is currently unknown. So far at least $100,000 has reportedly been spent looking for the capsule, which raises at least a few eyebrows in the time capsule hunting community. Time capsules are often lost (and sometimes stolen) but spending hundreds of thousands of dollars to search for one is rare. Officials in Houston recently went looking for a 1963 time capsule at the Astrodome, but ultimately determined that they’d have to tear down the entire building to find the thing. In the case of the Singapore National Stadium capsule, the building has already been torn down, leading this here time capsule nerd to think that maybe it was stolen. Judging by the photo, the time capsule was sealed properly, giving hope that if it is found, the contents won’t be a soggy mess. But if it was indeed stolen, (at any point in the past 45 years, mind you) it’s probably sitting somewhere above ground anyway. A new time capsule was sealed and interred by Prime Minister Lee Hsien Loong in Singapore recently. The plan open it in 2040. The new capsule contains sports memorabilia like the shoes of sprinter Shanti Pereira. There’s no word if any “local currency” was included in this capsule, but let’s hope it survives to see 2040. And if you find the 1970 capsule, drop us a line here at Paleofuture. We can’t promise a $50,000 reward, but we’d love to know what’s inside. I’m not saying the capsule has anything to do with aliens, but with that kind of reward being offered—it’s probably aliens.